The sudden dark cloud that recently came upon some eminent professionals reminded me of a linguistic search I started 20 years ago. A Hindi magazine had asked me to comment on activism. I was expected to explain what the term meant and its relation to politics. It was a fascinating subject, but there was an obstacle: I couldn’t think of a suitable word for activism in Hindi. I looked at older magazines and newspapers, to find out how Medha Patkar and Aruna Roy had been described. The terms most often used for them were “samajik karyakarta” and “samajkarmi”. On certain occasions, they were described as “andolankari”. These descriptors had also been used for individuals involved in struggles for child rights, gender equality, popularisation of science, and so on. Terms like “samajik karyakarta” and “andolankari” carry a long legacy, of names like Mahatma Gandhi and Kamaladevi Chattopadhyaya. They were never described as activists in their lifetime, although many of their activities would now eminently suit the term as it is used in English today. Gandhi’s Salt March was a prime example of what we today call activism. It inspired many around the country to take up matching activities. Kamaladevi, for example, sold small amounts of salt on the Juhu beach in Mumbai, and Rajendra Prasad boiled seawater in open cauldrons in Patna. These historical examples of activism continue to earn them the sobriquet, “andolankari”, in Hindi to this day. Gandhi was already a political leader when he organised the Salt March, but thousands of his followers chose to be “samajik karyakartas”. In modern Hindi parlance, some might call them “samajkarmi”. Why didn’t they mutate into being called “activists” by a suitable expression in Hindi? The online dictionary of etymology locates the earliest use of “activism” in 1917 and that of “activist” three years later. In India, the terms entered popular writing in the late 1970s and gained frequency of usage from the early 1980s onwards. These were post-Emergency years during which India’s political life was struggling to resume a sense of normalcy after the trauma it had endured. The Janata phase under Morarji Desai had ended after a short effervescence and the return of Indira Gandhi to power ended in the traumatic riots of 1984, following her assassination. Indian politics had entered uncharted waters. The memory of the Emergency was hardly conducive to any real rediscovery of a collective purpose and reinstatement of trust. Not just politics, the state also entered a new phase in its history in the summer of 1975. Alienation from the state was a colonial reality, but Independence had created a dream, kindling the hope that one day ordinary people might identify with the state. The Emergency broke that dream. The idealism associated with the freedom struggle was already waning; now, the moral basis of politics also seemed lost for good. In the ethos of the 1980s, the social distance between the worlds of English and Hindi grew rapidly. These were also the worlds of power and populism. The state became a space for negotiating privileges and rights, in that order. New voices came forward to represent the powerless rural masses. Some were keen to collaborate with the state, in order to help it work; others were adversarial, fighting for justice for the dispossessed. In English, the former got recognition as NGOs, the latter as activists. The two categories overlapped in certain cases. Although both kinds of voices were participating in public affairs, they chose not to be seen as political. The late Professor Ravinder Kumar explained this phenomenon in a conversation soon after Medha Patkar gave a public lecture in the auditorium of the Nehru Memorial Museum and Library (NMML). It was an unusual event, and I wanted to know from Kumar, the then director of the NMML, how it became possible. Under Gandhi’s leadership, he said, politics could absorb a considerable amount of social activism, making it available for state-building. That process slowed down after Gandhi. Eventually, many among the socially active felt alienated from the state and the political route to shaping its purpose. Why activism got no specific term to name it in Hindi remains an interesting question. One answer is that Hindi covers a wider social terrain than English does. In this vaster social landscape, the state remains distant. It is perceived essentially as an apparatus meant for the exercise of power, by those placed within it. Activists who deal with that apparatus and endure its crude, often wanton moves, are seen in the Hindi-educated strata of society as social workers. For them, terms like “samajik karyakarta” suffice. When they agitate, they become “andolankari”. The gap between Hindi and English in this regard has a larger context as well. In the 1970s, the global educational discourse registered two radically new voices, those of Paulo Freire and Ivan Illich. They were critical of institutions, but seemed to share many concerns, especially about concentration of power. They had different approaches, but their world-wide influence overlapped. They created a new ground for vernacular cultures and languages to struggle against pervasive dominance. Freire’s famous pedagogy of the oppressed was ostensibly meant for the illiterate, but it had deeper designs for structural transformation. Illich’s critique of alphabetic literacy introduced a fresh breath in old debates about the human need for language. Their work suggests that talking and reading are simple acts of resistance in a world increasingly vulnerable to forces of all-round control. There is no joint legacy of Freire and Illich, but their suspicion of convenient labels continues to offer insight. “Activist” is one such label. It seems to recognise morally-inspired action, but it also offers a summary handle to crush such action. 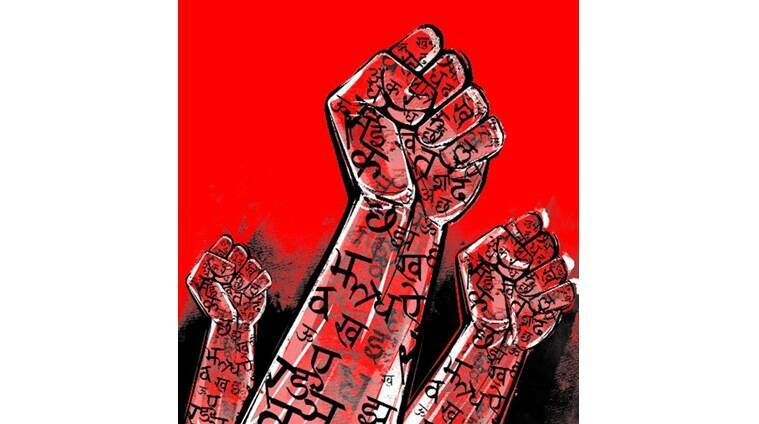 Hindi’s lack of a term for it constitutes a silent unwillingness to use a label that permits indiscriminate lumping of motives in a complex social and economic landscape.